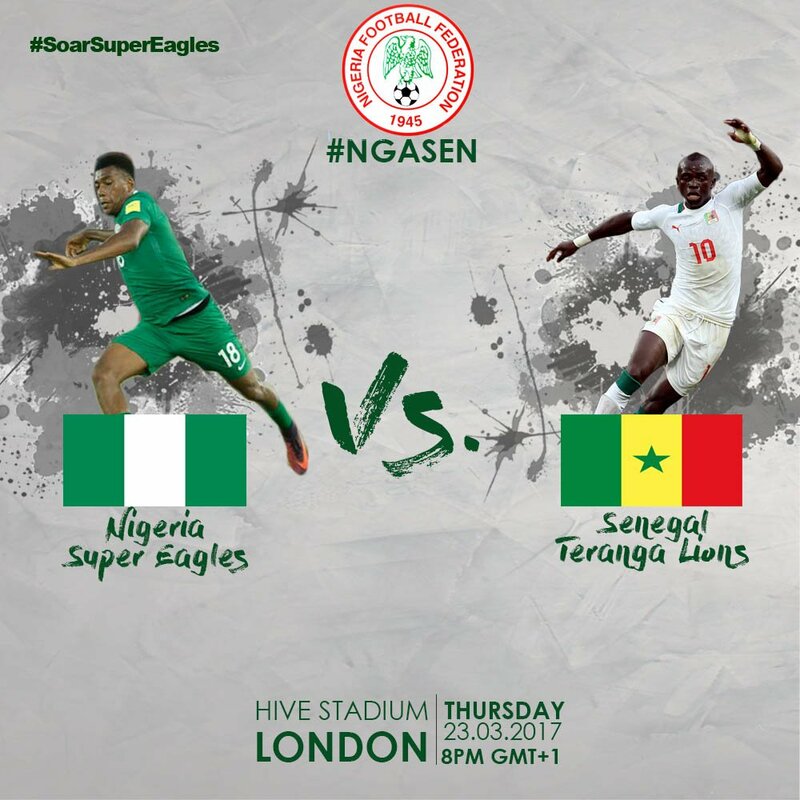 Today’s international friendly match between the Super Eagles and the Teranga Lions at the Hive Stadium in London may not be a make or mar encounter, however, it would go a long way in accessing certain players between both teams ahead of their 2019 Africa Cup of Nations and 2018 FIFA World Cup qualifiers later this year. Full Time: Nigeria 1-1 Senegal. Kelechi Iheanacho late minute penalty ensured the spoils will be shared with Senegal. 81′ Nigeria 1-1 Senegal. Kelechi Iheanacho levels for the Super Eagles from the spot. 60′ Iwobi and Simon (out), Etebo and Success (In) for Nigeria, Sadio Mane ready to come on for Senegal.